Mullein has been coming up in my Zone 7A garden in Petersburg, Virginia, for fifteen years or more. I let it grow where it has seeded, and I don't think I've ever had more than four or five a year. My garden is what might politely be called a "cottage garden," which means, in my case, a bit of a hodge-podge. So the mullein fits right in. We now have an allotment (rented municipal plot). There is a Mullein that we have watched develope over the last 6 weeks. 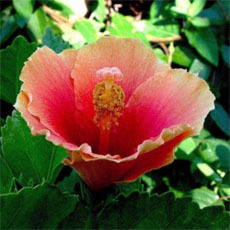 At a height of about five feet, the main stem went into a horizontal loop of about 270 degrees and six inches diameter. It then went straight up for about two feet. A couple of the seed pods are starting to turn brown so we took one and split it open. There were scores of seeds inside. We expect to harvest hundreds of thousands of seeds. These may be gathered and sold. Some will be sown for future projects. It would be good to plant an avenue of these magnificent plants. There is a cluster of approximately four seedlings about twelve feet away from the main plant so we shall dig those up and transplant them to our home garden. The... read morey will make a lovely pair of gate guardians. One on either side of the entrance. It would be good to plant an avenue with these magnificent plants. My family and I have moved back to my parent's homestead here in Oakland Maine where we have inherited 60 years of plantings (thanks to my mom). 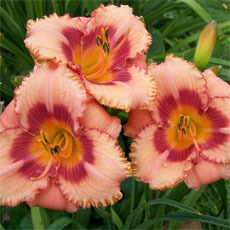 We are doing a lot of transplanting and learning about some flowers we know nothing about. We had come across the common mullein without knowing what it is until I did some computer research. We love the bright yellow color of the flower and though we only have a few we are enjoying what some call a weed. I am looking forward to many more years of research and delight with finding out what plants my mom had planted and that I can transplant at other points in our yard as the years go by. Flowers are of such beauty! I saw it in neighbors yard, the tip touched the top of the deck. She told me it was Mullein, that it comes back every year. I knew nothing more. I am so excited to find out all the information on it. My sister is coughing really bad with nothing coming up has been on two rounds of anitbodies. Another person or person fail to stop smoking. Another trouble sleeping. Seems I should try some do experimenting with this medicine plants. We called them wild flowers, not weeds. Me and the neighbors collect and trans plant a lot of "wild flowers". Other people consider weeds. They are merely plants with names, to us. Thank all of you, for all of the good information. Grows in Elizabethtown, KY , Vine Grove , KY, Sonora KY, Glendale, KY, Upton, KY, Radcliff, KY, Louisville,KY, Irving,KY, Frankfort,... read more KY,Muldraugh,KY,West Point, KY. I found this plant growing on my property in a weedy area last year. It looked like a Lamb's Ear. I decided to see how it fared during last winter. I'm new to NC and was eager to see if it would "make it". Well, it did! I went on Dave's to have help with identifying it. So many helpful folks here. Although it's on the invasive "watch list" here in NC, I'm going to let it grow. The height, up to 12 feet, will be perfect for the area. I LOVE Mullein! It doesn't self seed nearly enough to my liking. 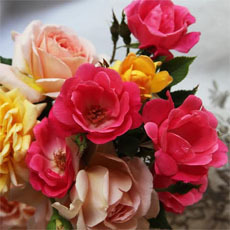 The flowers can be soaked in olive oil for a great skin conditioner and for ear complaints, especially for dogs ears. The leaves are wonderfully fuzzy, though you don't want to use them on your skin because it can cause dermatitis. There are two of these at the edge of our yard, one on each side of the house. And one low one that gets mowed in the front yard. I rather like their tall stature, top spike with a few small yellow flowers, and big furry leaves. However, they are on the National Park Service's "Least Wanted List". Maybe I will keep the plants but not let the seeds sow themselves in the fall. Common mullein threatens natural meadows and forest openings, where it adapts easily to a wide variety of site conditions. Once established, it grows more vigorously than many native herbs and shrubs, and its growth can overtake a site in fairly short order. An established population of common mullein can be extremely difficult to eradicate. It is... read more estimated that a single plant can produce 100,000-180,000 seeds which may remain viable for more than 100 years. The seeds are dispersed mechanically near the parent plant during the autumn and winter. If blooms or seed capsules are present, reproductive structures should be removed, bagged, and properly disposed of in a sanitary landfill." This plant self sows in my garden each year. I rather like it, so I only pull up a few of them. A friend from Oklahoma told me that the Native Americans cut the root off, cleaned it, put a hole through it on one end and put a string through the hole and let babies wear it to chew on while teething. This person is usually reliable. Another friend who has relatives in England says English gardeners love to have mulleins in their cottage gardens, so she always leaves a few in hers. Anyhow, they are lovely plants, but around here are generally considered a weed. On the other hand, keeping a few around can be quite pleasant. Self sows, but not prolifically so. I only find a few each year, letting me choose three for my flower bed well away from the house. Goldfinches love the seeds. It's a naturalized European plant that has been used for many purposes throughout the centuries. Roman soldiers dipped the stalks in grease and used them as torches....the leaves are still sometimes used as wicks. Native Americans lined their moccicans with the leaves to keep out the cold, and taught the colonists to do the same. Also big medicine in the Indian's community...tea made from the leaves was drunk to help with earache, stomache ache, and croup. 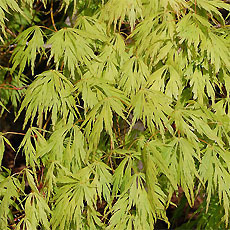 The leaves were used to soothe sunburn and rashes. I've seen this plant growing in the "wild" in my area for a very long time. But it was only when I saw it used in a fashionable garden magazine as an enhancement for vertical appeal in garden borders that I first took serious notice of it. I've transplanted *many* first year seedlings into my borders and beds without losing a single plant. I'm looking forward to watching my Mulleins grow and flower...and very interested to see people's reaction when they see how beautiful a 'weed' can actually be. A wild bi-ennial showing the beautiful silver/blue velvet leaved rosette the first year , then the second year it sends up the flower spike from the rosette. I have not seen it colonize to more than 4 or 5 plants. I allow Mullein and wild milkweed to grow in a special part of my property designated "The Wildlife Refuge " a native habitat which is only mowed high to control noxious weeds when needed. Yes, this plant has medicinal uses, but if you try it please DO SO WITH CAUTION. I've tried it and belive me, it WORKS! I coughed my head off! Felt great once I was done, but I'd hate to think of how bad it would have been had I taken more than a small dose. As an ornamental, it's awesome! One of the top ten plants that get remarks from guests to my garden. Well worth the space! 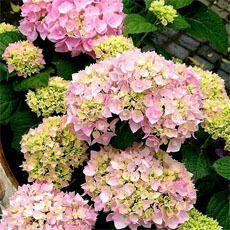 I want to try all the different cultivars ~ as soon as I get more flowerbeds built, I plant to. While researching this plant, I discovered that it has many uses especially if one is into herbal medicines. 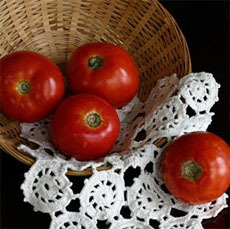 Although the flowers are fragrant and taste sweet, the leaves taste slightly bitter and have no fragrance. The fresh or dried leaves have been used to make a soothing tea. This tea provides choline, hesperidin, magnesium, vitamins B2, B5, B12, and D, para amino benzoic acid, and sulfur. However, mullein tea is primarily valued as an effective treatment for coughs and lung disorders. It is expectorant, anti-inflammatory, antibiotic and astringent. The American Indian dried the leaves and smoked them. Sometimes they were blended with other herbs such as jimsonweed and/or coltsfoot to treat asthma, bronchitis or other lung problems. Also, the tea is somewhat of ... read morea sedative. The flowers, besides being used as a local antibiotic and bactericide, are used in the treatment of migraines. The tiny mullein seeds contain rotenone and coumarin which are toxic to fish (but supposedly, not to mammals) and have been used as a narcotic to stun fish. Mullein acquired the name 'Quaker rouge' because the leaves which are rubefacient, meaning that the skin becomes red and somewhat irritated when rubbed against, was used as a natural sort of makeup. Mullein is called "torch plant" because when dried flower heads are soaked in tallow and lit, they make a good torch. It is called "candlewick plant" beause the dried and rolled leaves have been used as lamp wicks. It has been proven useful as tinder for starting campfires and as a quick burning fuel. The flowers make a bright yellow dye and when sulfuric acid is added, they make a color-fast green dye. Then if alkali is added to raise the Ph level, the dye transforms into brown. 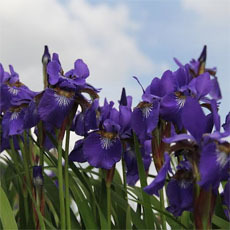 A wide variety of pollinators are drawn to the plant's blooms including bees and butterflies. I found much more information on this "weed" which has been proven to be a very useful plant besides providing its unique beauty. This plant grows wild here so nobody cultivates it. I think it has a taproot since it doesn't seem to need much water. My area gets less than 10 inches a year. Horses eat the dry seed stalks. Over the years I have cut down hundreds of these plants. One person's weed is another one's treasure! This spring we noticed this plant growing in an area with compacted soil and poor drainage. The area was the former location of a barn, which was demolished a year ago. We live in the Santa Cruz mountains (Boulder Creek) in the San Francisco Bay Area. At first, we thought the plant was a lambs ear, but it kept growing. We never saw a plant like this, so we let it grow. Our "alien plant" is now about 9 1/2 feet tall, and has a 1 foot tall spike of yellow flowers. We love it, and it has attracted a lot of attention from neighbors. We get about 70 inches of rain per year, so I look forward to seeing how many more of these grow next year. I first encountered this plant growing in a rocky slope that bordered an artificial "creek," part of a "detention pond" system the developer had installed in my back yard before the house was built near Atlanta Georgia, zone 7a. My son first found it while he was working in the yard, and he let it grow all summer, just to see how high it would get, and we estimated it was at least 10 feet tall by the end of summer. It had it's head in the sun and it's feet close to water, and seemed to like growing in the rock. The plant began to grow and grow and grow - and we were amazed because we had not planted it! It is now over 9 feet tall and has lots of visitors to the garden pondering on what it is. It's taken me some time to find out what it is called! The bottom leaves are now beginning to rot and turn silvery. The top has one massive spike, with several others growing out around it. I have taken several photographs and was hoping to be named in the Guinness Book of Records. Alas, your site tells me that they grow to 12 feet tall. Ah well, there's always next year! 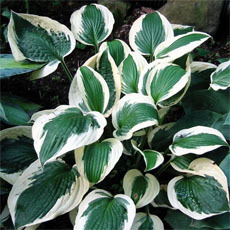 I 'let' this plant grow in my flower garden because the large velvet leaves are so attractive. Bees and butterflies enjoy it and it needs no special attention. It seems to prefer dry conditions and makes a taller stalk in dry weather. Just remove the seeds before they mature to keep it from becoming invasive. Our Mellein was a gift from a passing bird (we guess), who delicately deposited a seed in our raised flower bed. Since this part of the country is facing a water shortage this is definitely a plant for our area. It seems funny to see what I've always considered a weed, albeit an attractive one, pictured as a garden flower. We have one that grows wild on a gravel bank behind my trailer. It hasn't spread anywhere else that I know of. The soil it grows in is awful, full of rocks and roots, but every year it springs into bloom from mid-to late-June into July. I've never deadheaded it-it was never necessary. The thing grows taller than I am. In New Bern, NC, at Tryon Palace, they grow it in their cutting garden. It really looks great in cut arrangements. The guide informed us during the tour of the gardens, that during the 1700's the leaves were used to wrap fruits and vegetables to prevent bruising. The tall, yellow flowered spikes are great. They certainly add height in the garden. Pioneer plant, often appears in recently disturbed areas. Difficult to transplant. 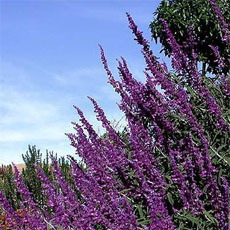 When grown in good garden soil, plant can grow to 12' with multiple stalks/flower heads. More a curiosity than a beauty, it is used as a medicinal herb. Leaves are made into a tea which is drunk to help relieve chest congestion (pretty foul taste). Cattle that eat leaves get intoxicated. First-year plants look just like Thumbelina could be hiding in center of plant, very appealing to small children for a "fairy tale garden" along with rapunzel, etc. New leaves are velvety-soft (like lamb's ear), become coarse and prickly as they age.